This guide will help you to use the Magic Minutes meeting search. 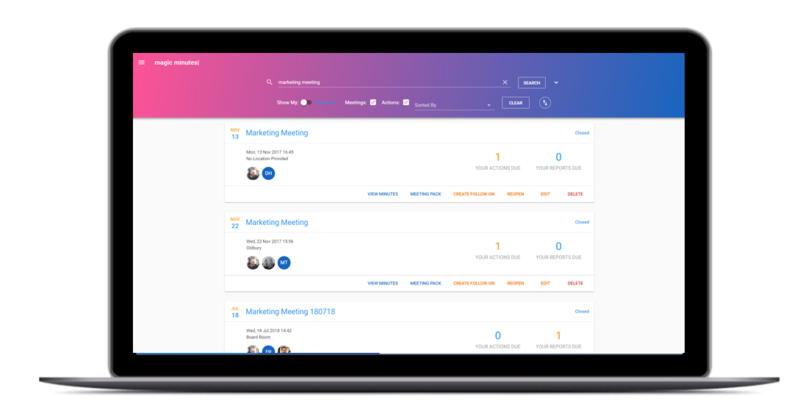 The search area displays all of your meetings and actions. The search and filter facilities can help you find the things you’re looking for. 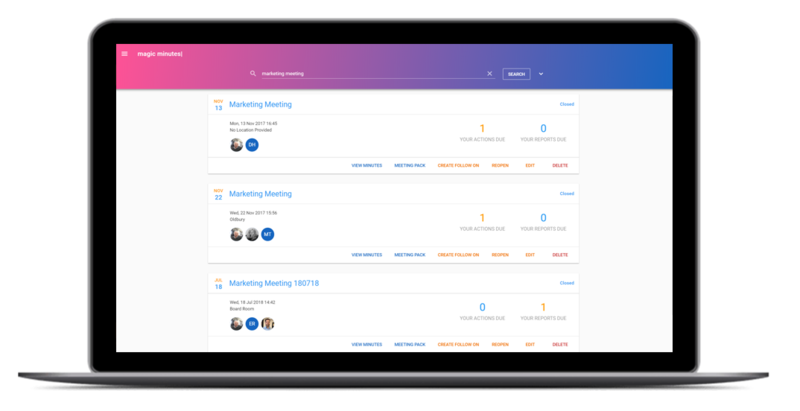 You can use the search feature in Magic Minutes to quickly find a meeting or action. To access the search, you can use the main navigation menu. Alternatively, there is a serach bar in the top right-hand corner of the screen. 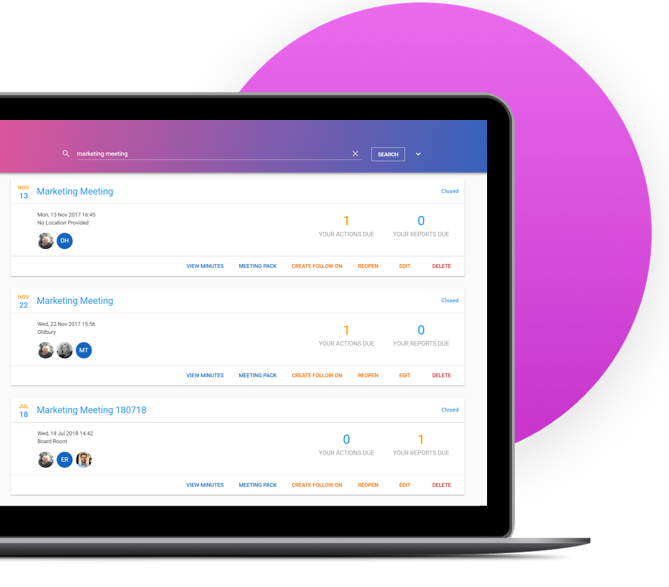 If you arrive at the seach page from the main navigation menu, simply type in the search term you are looking for and a list of approprate meetings and actions will be displayed. You can type in a new search term into the search bar to find other items of interest. You can refine your search by clicking on the down arrow next to the search button. From the menu, you can select various options to narrow down your search results, reorder or clear the results to start a new search. 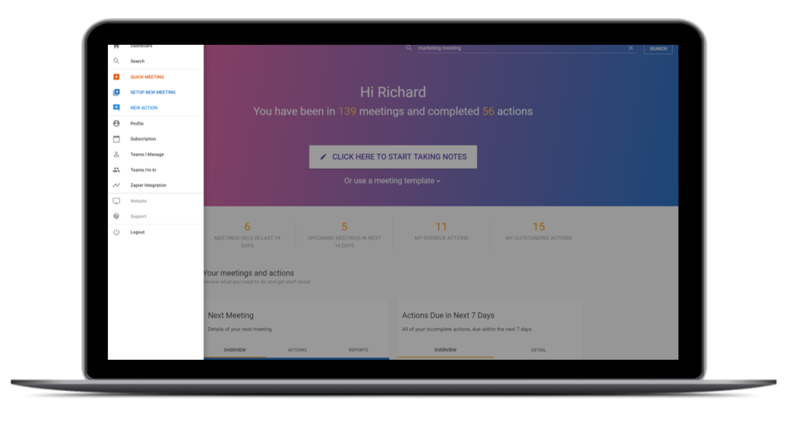 To view a meeting or action simply click on the card!